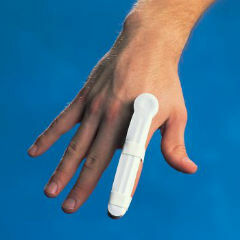 Aluminum splint folds over middle of finger and easily adjusts and molds to finger. Nonlatex, 1/4″ foam padding provides patient comfort. 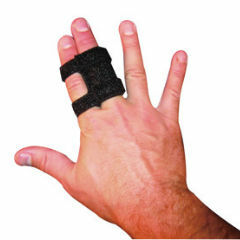 Use to stabilize, immobilize and protect distal phalanx fractures.Aluminum splint folds over middle of finger and easily adjusts and molds to finger. 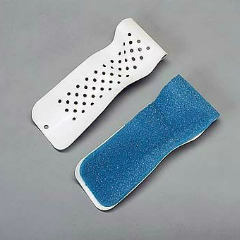 Nonlatex, 1/4″ foam padding provides patient comfort. 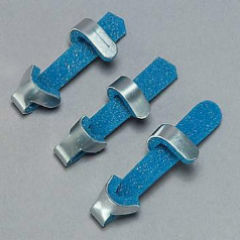 Use to stabilize, immobilize and protect distal phalanx fractures.